High Octane Automotive, in Northridge, CA provides high quality automotive repair services in a warm and friendly environment. We are committed to treating you as we would our family. 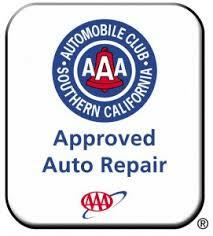 We are one of the 5% of auto body shops that are AAA Approved and have been awarded with 100% Customer Satisfaction from AAA’s surveys of our customers. Use our Concierge Service to get free pickup and delivery while we repair your car. We are experts at electrical diagnostics, air conditioning service, shocks and struts, steering fluid, brake service, cooling & radiator service.